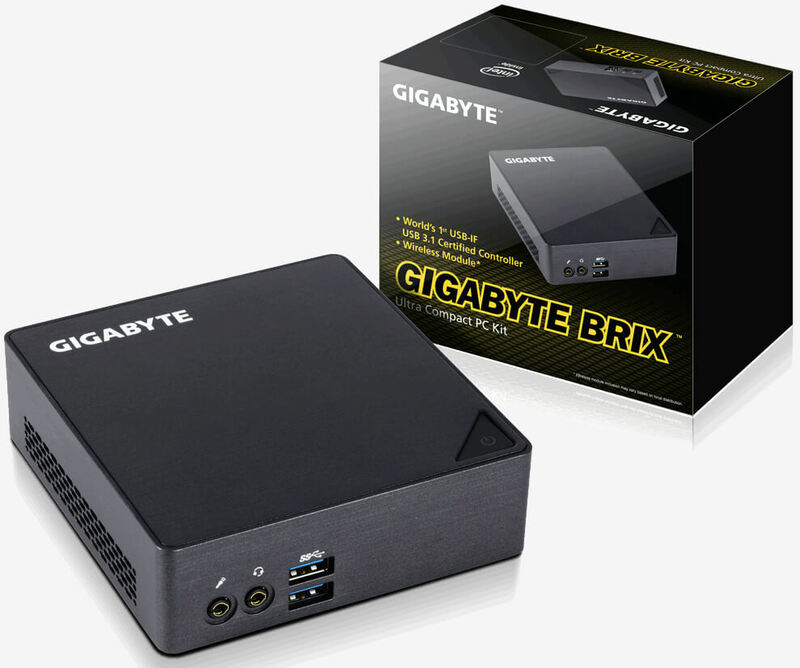 Gigabyte has expanded its Brix family of small form factor PCs with the introduction of four new models split into two classes. What’s newsworthy here is the fact that the new machines all feature Thunderbolt 3 over USB Type-C connectivity. The new systems, the GB-BSi5T-6200, GB-BSi5HT-6200, GB-BSi7T-6500 and GB-BSi7HT-6500, all include M.2 SSD and Thunderbolt 3 connectivity. The “HT” models also include support for 2.5-inch SATA devices should you also need it. As the name suggests, the GB-BSi5T-6200 and GB-BSi5HT-6200 are powered by Intel’s sixth generation Core i5-6200U processor while the GB-BSi7T-6500 and GB-BSi7HT-6500 are equipped with a more powerful Core i7-6500U CPU. The Brix PCs feature Intel HD Graphics 520, two DDR4 RAM slots, four USB 3.0 ports, a single USB 3.1 Type-C port, an HDMI 2.0 port, headphone and microphone jacks, a Gigabit Ethernet jack and a mini DisplayPort connector. There’s also dual-band 802.11ac Wi-Fi and Bluetooth 4.2 as well as a VESA mount for flexibility in terms of where to place the system. As a barebones PC, buyers will of course be responsible for supplying their own memory, storage and operating system. No word yet on how much they’ll sell for. Early adoption of a new standard is key to its success. As we’ve seen time and again, the fastest protocol currently available has no hope of becoming mainstream if companies are slow to implement it into their products. Fortunately, that doesn’t appear to be the case here as USB Type-C is already finding its way into multiple devices.